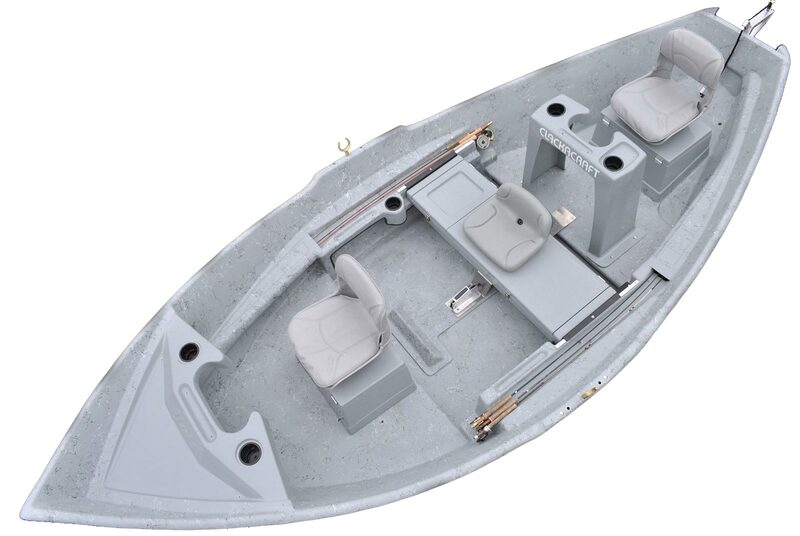 The Weight Forward has set the standard for fly fishing guide boats. This boat has the same bullet proof hull as the Fly Fishing Bench model, but we have moved the interior forward six inches for better balance and trim. The Weight Forward features walk-around lockable pedestals with padded fold-down seats both fore and aft and super strong front and rear knee braces. Built-in double/triple reverse rod holders are standard. Oar Lock Height 25″ Motor 10 H.P.